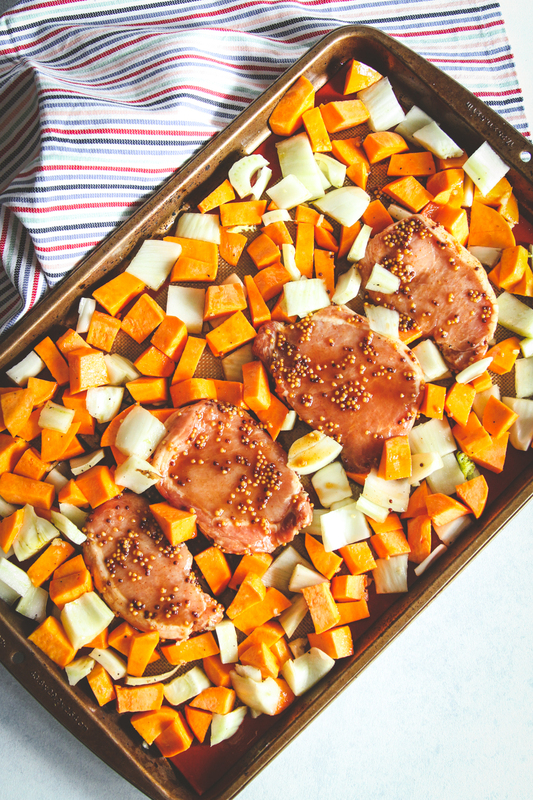 Sheet pan pork chops with sweet potato and fennel make for the perfect easy one-pan dinner! 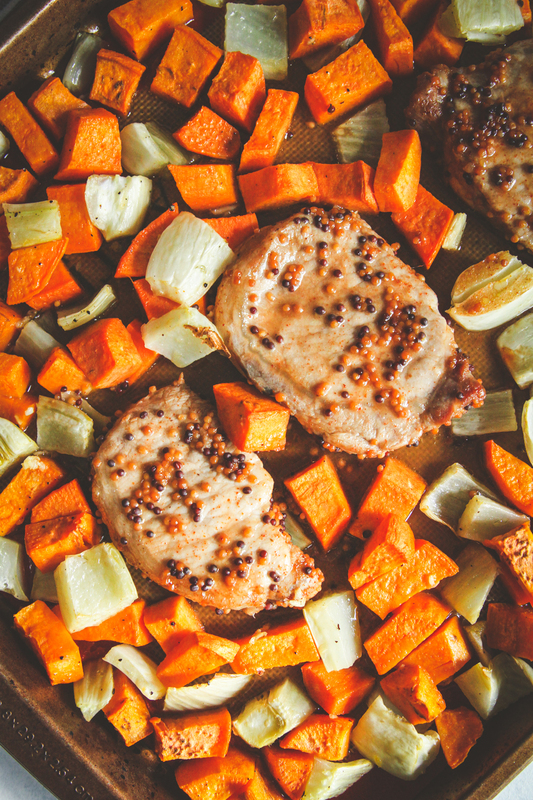 You’re going to love how delicious the marinated pork chops are, and love how everything is cooked in one pan and how easy clean up is! I’m really loving easy one-pan meals lately. During the busy week, the last thing I want to do is spend hours upon hours doing extra dishes. 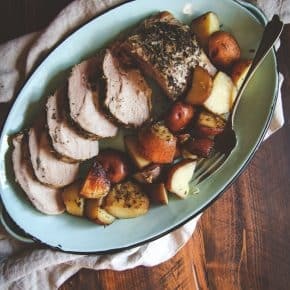 One pan meals-sheet pan meals, that I can handle! 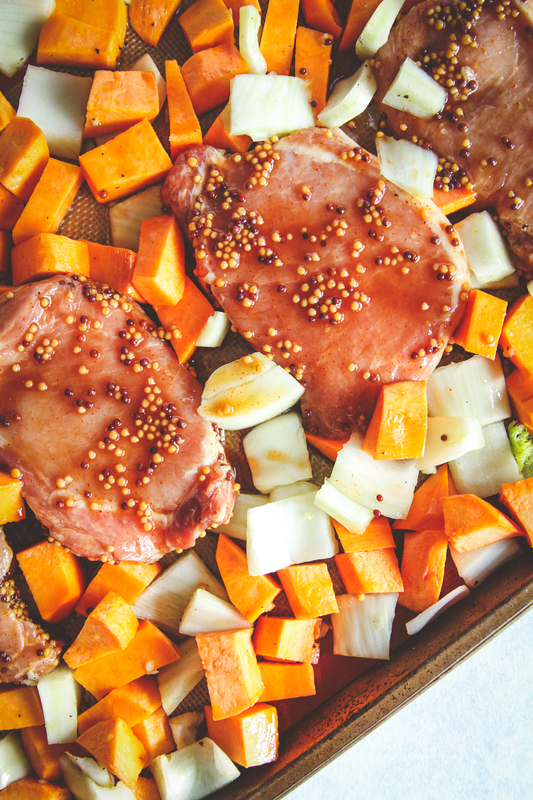 To make this sheet pan pork chops dinner, you marinate the pork in a mixture of maple syrup and whole grain mustard with a little bit of olive oil (you can marinate the pork chops overnight). 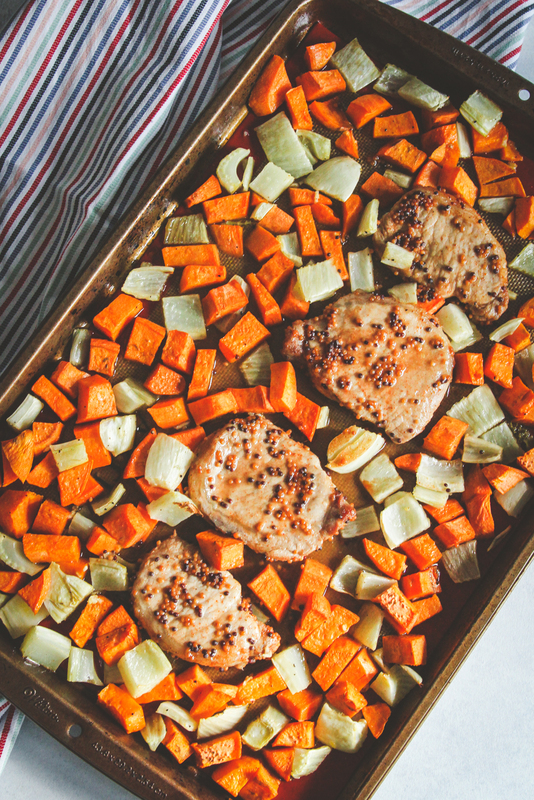 Then you chop up sweet potatoes and fennel and add the veggies and marinated pork onto a sheet pan and bake it…and viola, you have yourself a healthy one pan sheet pan dinner! 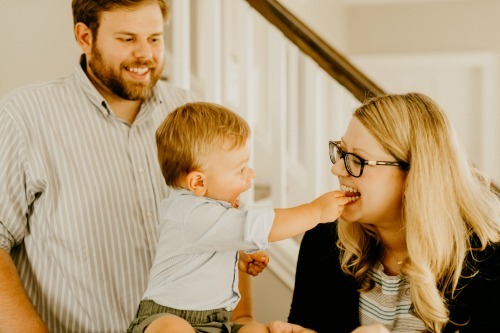 I love that this is a secretly healthy dinner too. 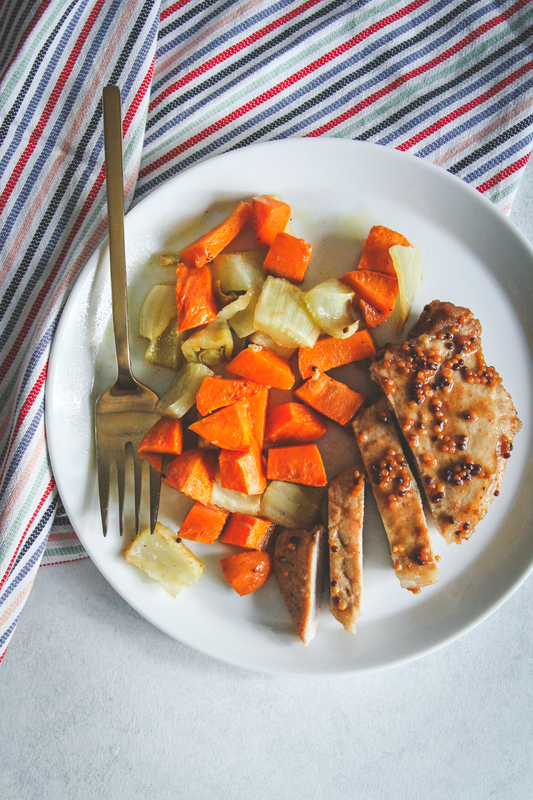 The sweet potato and fennel hash served as a side with a the juicy pork chop make for a gluten free meal you’re going to make on repeat. 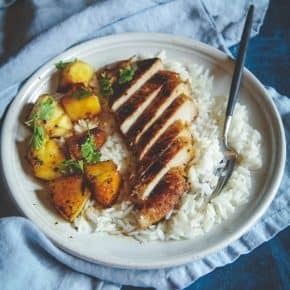 Hope you enjoy this easy pork chop dinner recipe! 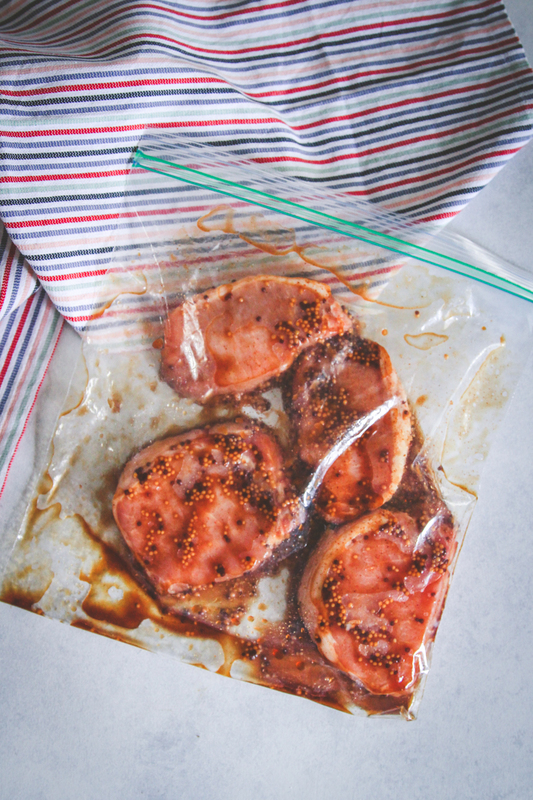 In a zip lock bag (or in a container with a lid) combine pork chops and next seven ingredients (through the salt). 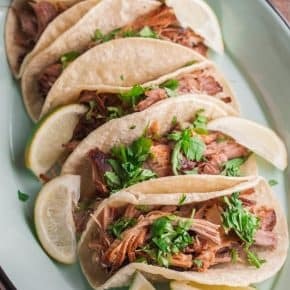 Allow to marinate for 30 minutes or up to overnight. 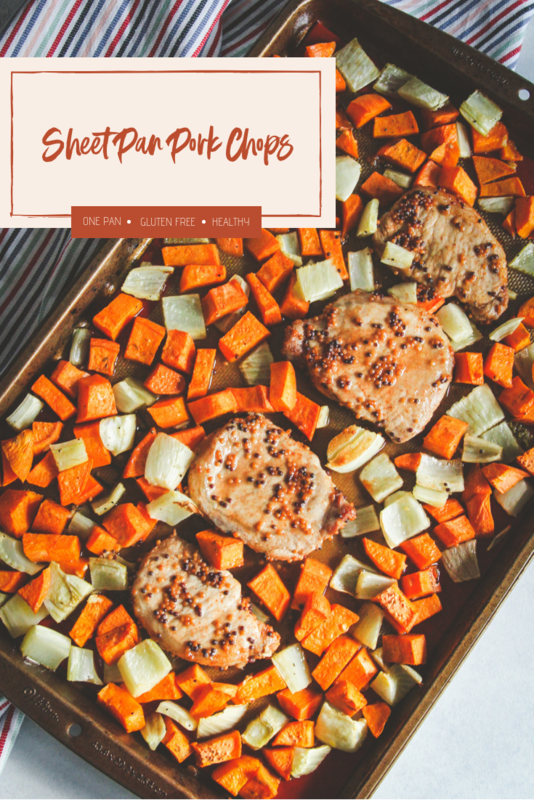 On a sheet pan (I like to line my baking sheet with a silicone baking mat or a sheet of aluminum foil) sprinkle sweet potato pieces and fennel pieces and nestle marinated pork chops in the middle/center of the sheet pan. Drizzle veggies with olive oil and a pinch of salt and pepper.